The posts above are my tips on getting extra cash as a call center agent. This post my actual experience in using oDesk to earn extra money. Sa tagalog at sa mas maka-masang termino - ang oDesk e parang Facebook pero trabaho ang pinaguusapan. Mag hahanap ka ng tao na me gusto ipagawa sayo, tapos babayran ka nila sa serbisyong nabigay mo -- lahat nito e sa internet nagaganap. A current colleague of mine told me how oDesk helps her get a little extra money every month. My curiosity got the better of me, so I then tried to try oDesk. The end result was, I got 3k in a month with minimal effort. The skills needed for oDesk like English proficiency, familiarity with MS office, and knowledge of the web, is already strengthened by the call center environment. This makes oDesk an ideal sideline for us call center reps. So how was my actual experience? I signed up for oDesk and created an account -- I just Googled oDesk and followed the instructions. I then created a PayPal account - just login to Paypal and follow the instructions. I used the personal account and was asked for a legitimate credit card to pay the Paypal processing fee – it’s like a test charge - I think is was 500 Pesos (you get this back after a while). I also needed to link my own Bank (Metrobank ATM Savings) to PayPal. I then went back to oDesk and created a profile for myself. This is like an online resume. I then put in my asking price of $2.00. Then I proceeded to see the list of jobs that were easy to do. oDesk has literally thousands of jobs to choose from - from cutting and pasting excel values, to writing articles. There are job filters called "categories of interest"that you select. Jobs will return based on the categories. I chose the filters below and applied for several jobs that appeared. After 48 hours, I received an email that an employer would like to have an interview with me, and the employer gave his Yahoo Messenger. My interview was just a simple chat session using YM. The employer needed 5 articles to be written for random topics that he would give. Each article would have 450 words, and he would pay me $2.50 for each article. I had 1 week to finish all 5 articles. He then asked if I could do this and I agreed. The employer then asked me for some sample articles first before we sealed the deal. I emailed him some written work and after a few hours, I saw that he had hired me on oDesk with and emailed me with the article topics as well as instructions. The employer emailed me everyday and checked on my progress. I honestly reported to him everything I was doing. I managed to finish the articles in 5 days, spending about 1.5 hours for each article. I was immediately credited $12.50 upon submission. I looked for more jobs, and the money I had on oDesk slowly accumulated. I then used oDesk itself to transfer the funds to my PayPal account. I then used PayPal to send to money to my Metrobank account. In a month, I made 3,500k Php - I only used up 1 hour of my time day sitting in front of my computer. It may not be a big amount, but considering that I just use that time for Facebook, this was something worthwhile. 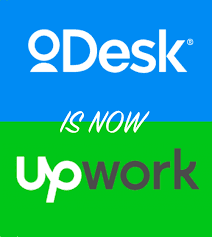 oDesk is real and it works. If you are really serious in getting some extra income, then this one should definitely be one of your top options. All you need is a computer and some dedication and you really will make money with this. This blog article just aims to share my experience to encourage my fellow agents that oDesk is a realistic way to earn extra income. Try to study and learn more about it, there are so many how-to's from fellow Filipinos that give detailed instructions with the whole oDesk process. For more details on oDesk, please see these links from our fellow Pinoy Bloggers. Hey JM, thanks for listing my blog as a resource for Odesk :). Means a lot. And you're still new to Odesk so I can understand the low rate you accepted. But once you start racking up good reviews, I suggest you bring it up if you haven't yet. At the very least you should be charging in the range of $5-10 for a 500 word post. That's actually still pretty cheap if you write well and you actually do a bit of research about the things you write about. Then you can slowly bring it up again as you gain more experience. Anyway, thanks again and you've got a pretty cool blog here. Call centers are pretty popular here too so you can convert this one into another source of income through ads. I suggest you apply for an adsense account though. You can run it along nuffnang and you'll prolly earn a bit more on adsense than on nuffnang. Thanks for dropping by, and thanks for the added insight to Odesk. I'll look into that AdSense in a while, once I have the time to do so. oDesk is a pretty good website, I’ve definitely made some decent money off that site. My biggest issue is paying 11.11% of everything I make just to use the site. It may not seem like a lot but it adds up when you’re making thousands! I try to use sites that charge less like www.workersoncall.com whenever possible. Great job. Well-said. Keep up the good work. Put God first and everything will follow. Thanks for the tips. I am planning to be a freelancer as a student, but I heard that you will be paying taxes as well? Well, I believe you have to declare and file it on your own.